No doubt, Google Drive is an amazing synchronized cloud storage service that allows you to safely store and access your files, folders, photos and videos from anywhere. 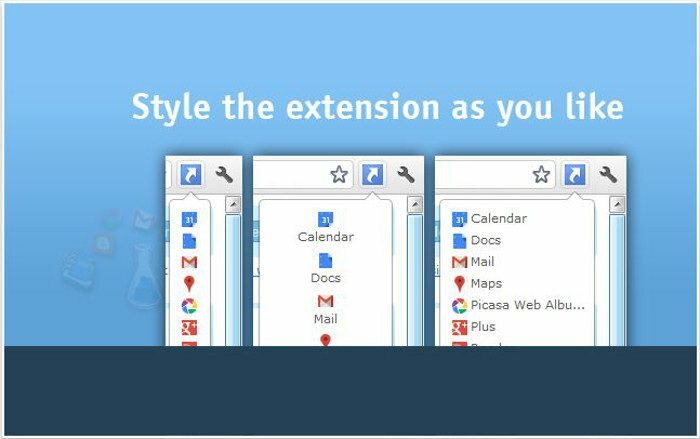 To enhance its usability and help you get more out of Google Drive there is a large number of different extensions available. In this post, we are showcasings useful Chrome extensions that may help you boost your productivity while working with Google Drive. 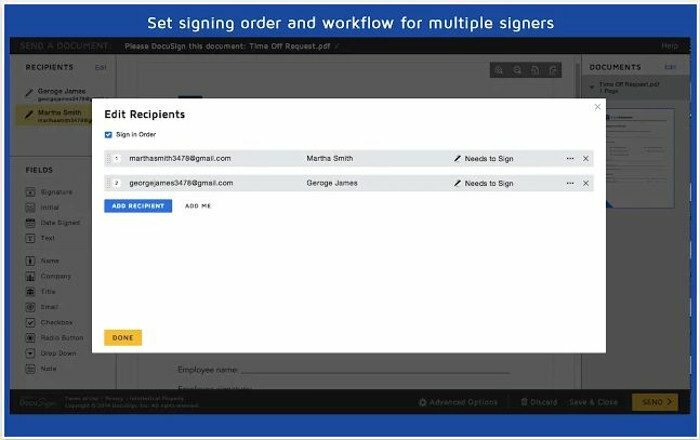 DocuSign is a very useful document-signing extension. It allows you to electronically sign documents, or get your documents signed by others inside Google Drive. You can even check the time status to know when the other person has viewed and signed your document. 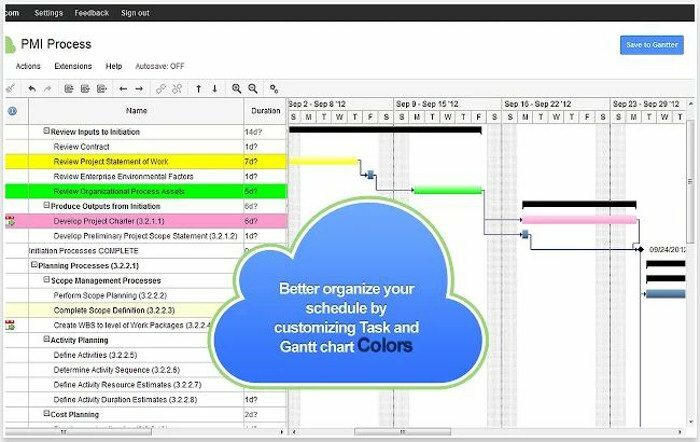 Whether you are planning for a complex or simple project, Gantter offers almost all the essential features of a cloud-based project management tool without having to pay a single penny. It can be considered a good alternative to Microsoft Project and, even allows to import and open MS project files. As the name suggests, it is an easy to use invoicing extension which can be very helpful for freelancers to generate and send invoices of their work. Just fill up the basic information required for invoicing and it will send the invoice on your email address in PDF format to review from where you can forward it to your clients. 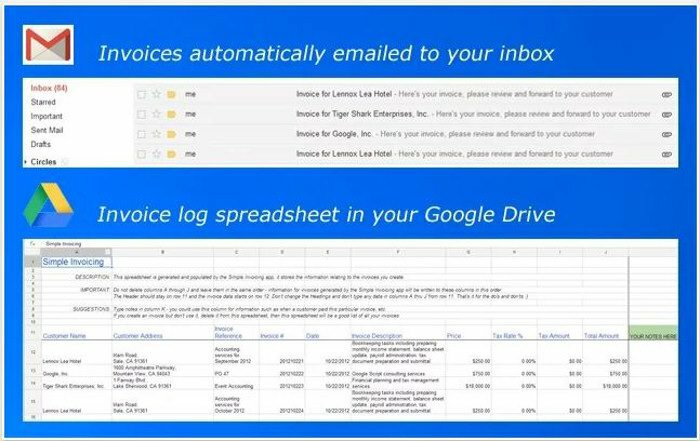 Moreover, a copy of all your invoices is also stored automatically in Google Drive by this extension. 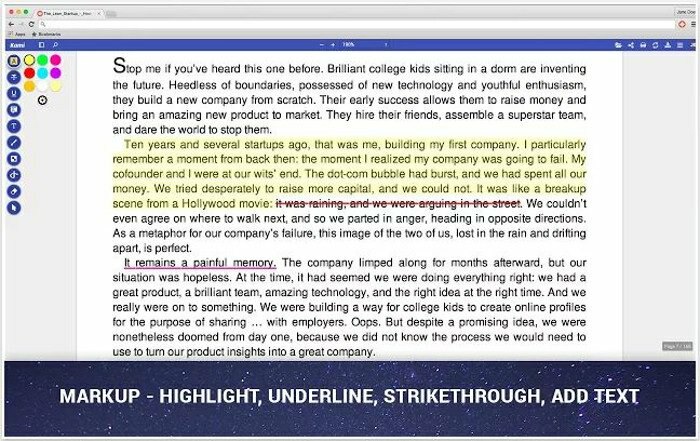 Kami is a very useful cloud-based document viewer and annotation extension. 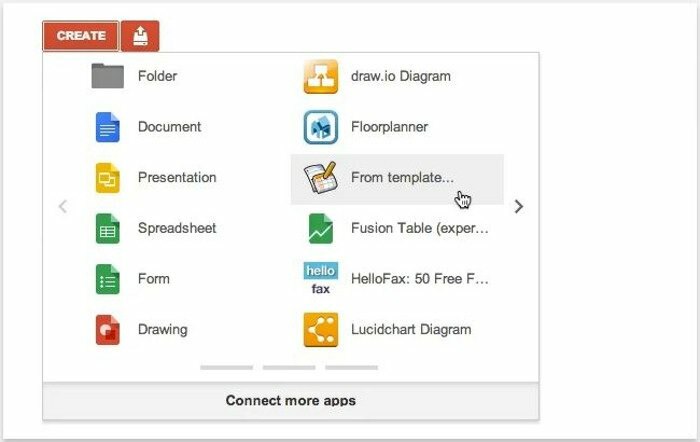 It supports many document formats including PDF, MS Word, Google Docs, RTF, Powerpoint files, Spreadsheets and Image files. Apart from viewing and annotating documents, you can easily share files with others via collaborating feature of Google Drive. The tool can be very helpful for people working in groups or teams to carry out different tasks. 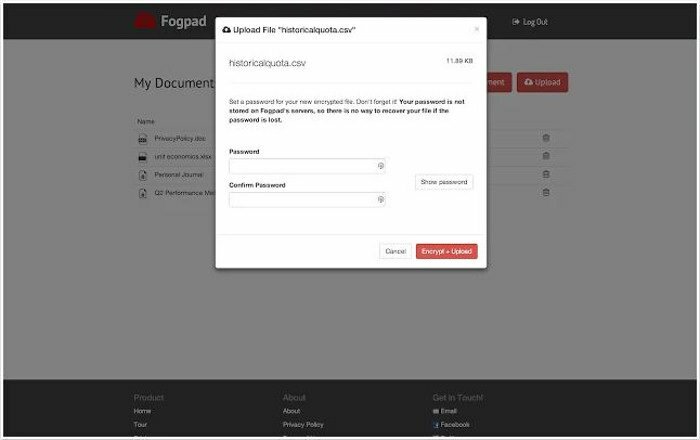 If there are documents that you may wish to keep secured, then Fogpad is a good option to go with. It provides bank-level encryption using AES over the cloud. Which means that you can create and edit documents using rich-text editor of Fogpad in your Google Drive without worrying about the privacy. 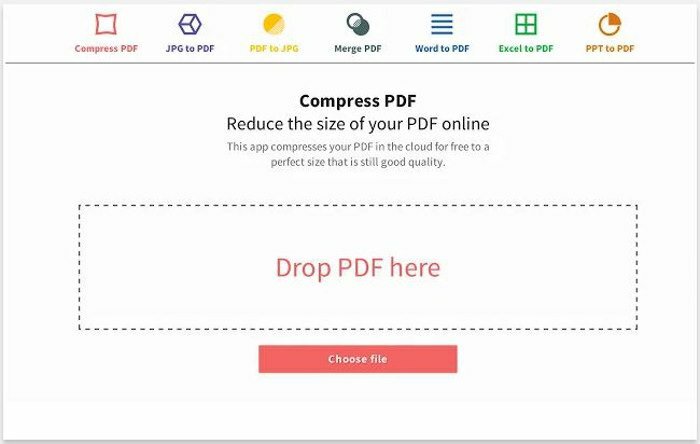 Storage capacity is the prime factor to be considered in Google Drive so why not compress all your PDF files up to 1% of original file size while maintaining quality, with by using the PDF Compressor extension. 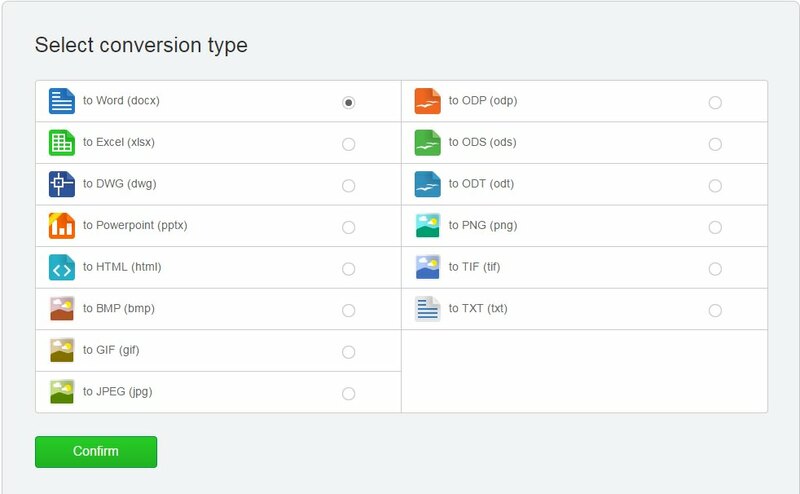 You can use choose file option or drag-and-drop approach to upload and compress a document. 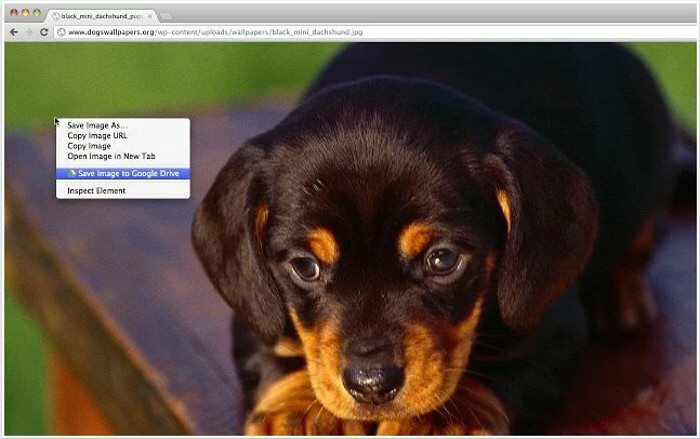 You can also convert Word, Excel, PPT or JPEG files into PDF using this extension. Usually, you might translate documents on your Google Drive by copy-pasting text into Google Translate, however, if translation of documents is something you need to do frequently, this extension can surely add some ease in your work. You are only required to locate a document to be translated in Google Drive to get instant translation. If you view and edit plaintext documents over cloud, this extension may be very helpful for you. 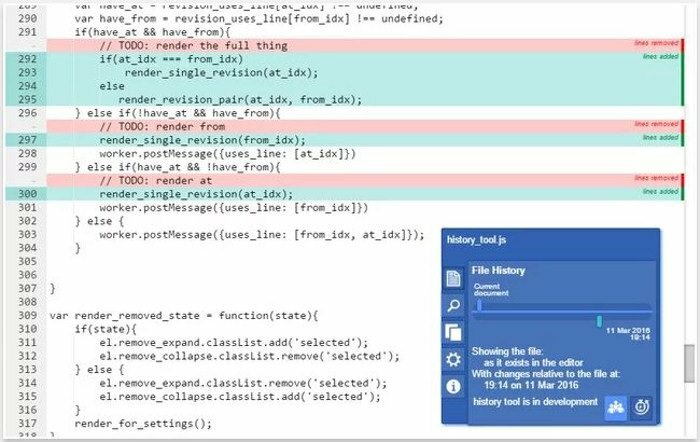 It provides an interactive file history indicating which lines are added/removed, and even supports syntax highlighting for numerous programming and scripting languages that may be a striking feature for programmers. If you are a blogger, writer or researcher who browses through different websites to collect raw data and saves it in Google Drive, this extension may help you a lot by saving the web content including text, images, HTML5 audios and videos and screenshots directly to your Google Drive. This will not only save your time but will also help to organize all your research work over Google Drive automatically. Give a neat look to your Chrome browser and navigate among 250+ Google services by using this extension which offers a pop-up menu of all Google Services under one button. You can rearrange the order of services in menu which you frequently use, change their URLs and names, or select one of three available sizes for icons. Rather than creating documents from scratch, you may browse through Drive Template Gallery, and choose a ready-made template that goes with the type of document you want to work on, from Google Drive Create menu. You can find a number of templates ranging from documents, spreadsheets, presentations, forms, resumes, cover letters, birthday cards, invoices etc. Cometdocs is a useful document conversion extension. It lets you convert a PDF document into most common MS Office and OpenOffice formats right there in Google Drive. Furthermore, PDF files can be created from images or other supported document formats. The extension can be very helpful for you if you like to keep most of your documents in Google Drive.